I can’t believe it is Wednesday already the weekend went by so fast. I’d been trying to get these pictures downloaded so I could show off my shopping trips and now I can. Back when they had the Shopper’s Promotion I was trying to decide when I should use the 2 $5 catalinas. This weekend was when they were to expire so on Saturday I went in and got all of this after using the catalinas it came to under $3! Not bad. We had a funny picnic on Sunday in the garage eating salad. 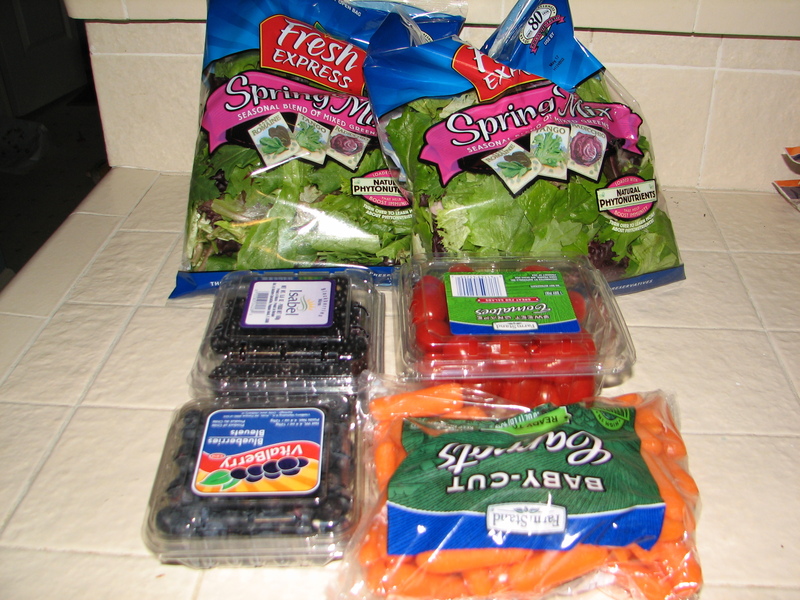 Will be making salads tomorrow night. 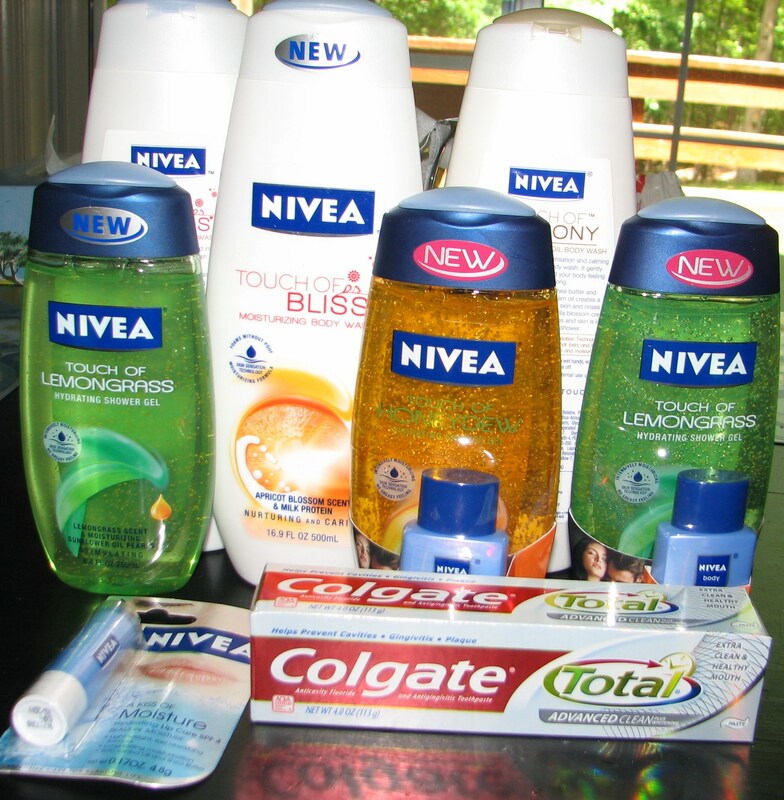 I’m excited to say that I got to do the Nivea deal more than once. This is my favorite body wash. I’m so glad I got introduced to it a while back when CVS had a buy 1 get 100% ECBs back to make it free. My skin has been less dry and I haven’t had to use that many lotions. Now I have a supply that will last me for a long time. If I ever get any more body washes it is for gifts or donations. Plus, the Nivea Lip Moisture is a new favorite of mine too. I left one of them in the car, which is why it isn’t in the picture. Everything in the above picture cost me under $3.